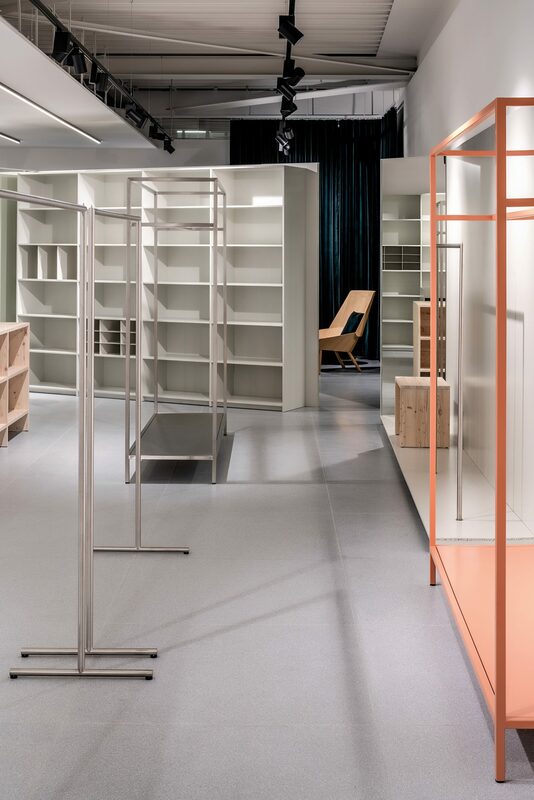 PHILIPP MAINZER OFFICE FOR ARCHITECTURE AND DESIGN completes the interior design of a new fashion store for German heritage brand Seidensticker in Roermond, Netherlands. 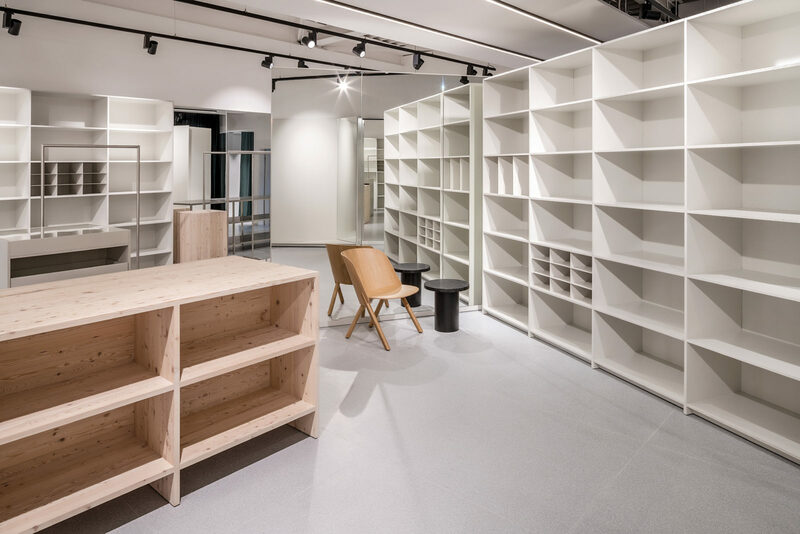 The store concept marks the first building block of a new brand architecture for Seidensticker and creates a reduced, gallery-like environment that allows an authentic presentation of their products. The consistently functional appearance conveys honesty and quality and supports the company’s philosophy. A careful combination of different materials results in an intriguing spatial experience. 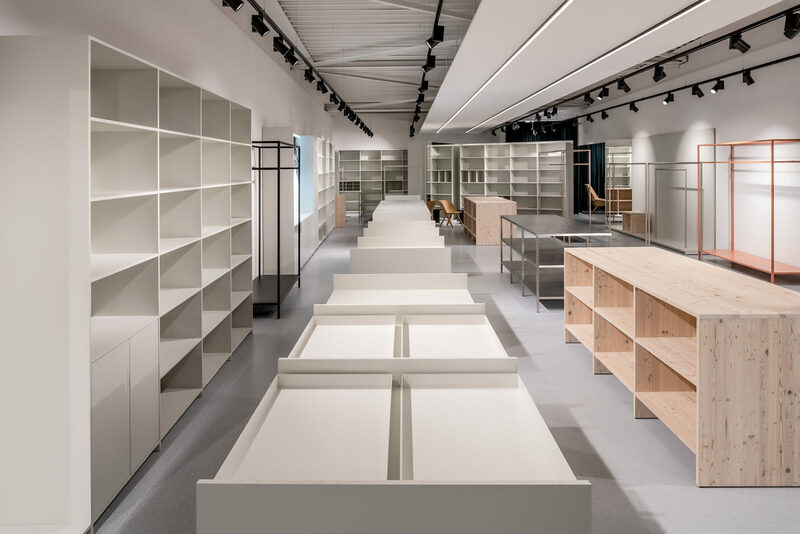 Shelves and presentation units made from chipboard with translucent grey lacquer are set on a high-grade terrazzo floor. 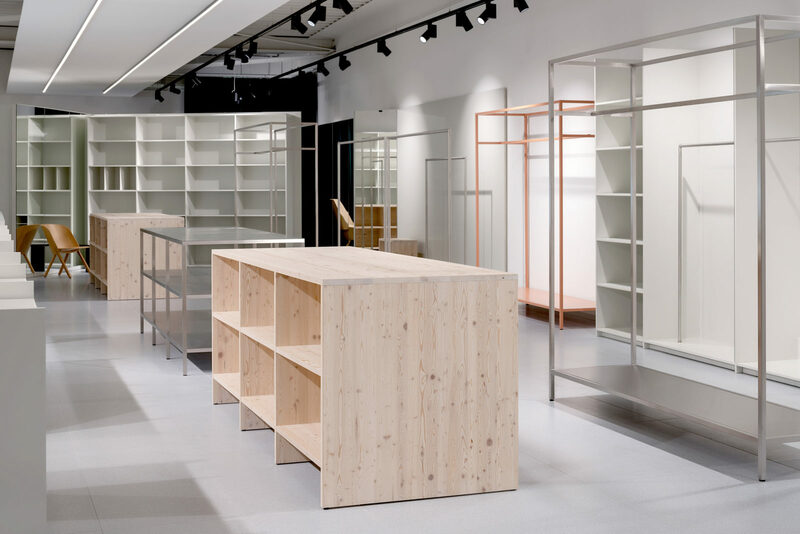 Mirrors are contrasting the chipboard and create fascinating viewpoints. 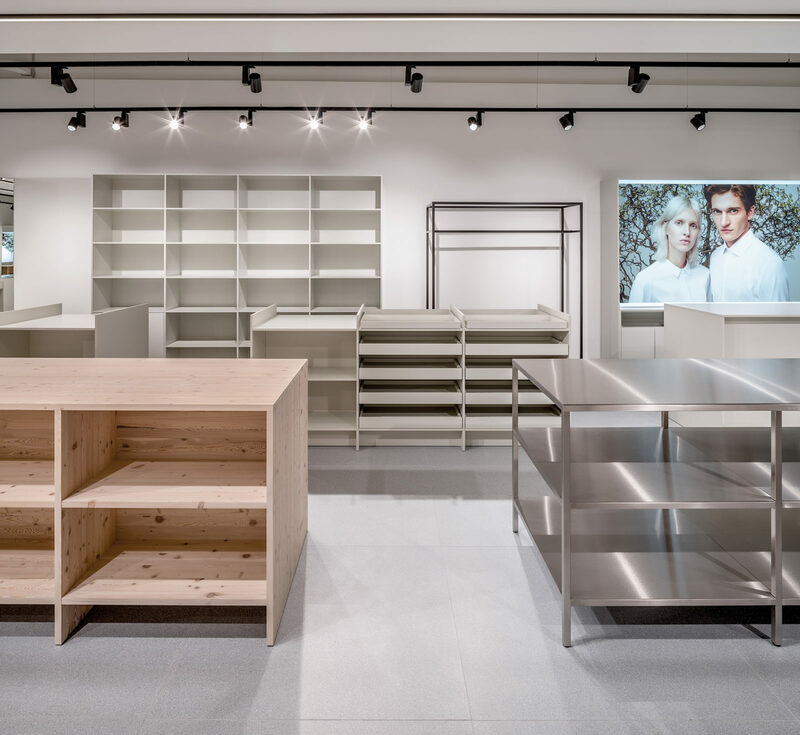 Presentation units in solid wood are effectively combined with units in stainless steel which communicate an industrial character, reminiscent of the industrial production that made Seidensticker popular in the 1950s.